Best value campervan rentals in New Zealand. When looking for a road trip vessel to explore New Zealand, you might not necessarily want the cheapest (and less reliable) option, nor the super expensive option. That’s why we’ve put together this list of the more affordable campervan rentals in New Zealand. These are the mid-range campervan rental companies offering a comfortable ride around New Zealand at a fair price. Take a look at the list below to see some of the market leaders in the campervan rental industry in New Zealand that you may not have heard of but are well worth adding to your comparison. Travelling to New Zealand is often a once in a lifetime trip so get it right and consider all your options! However, if you are want to look at more budget options check our our budget rental comparison, or for more luxurious motorhomes head to our premium campervan rental comparison. Location: Look at your itinerary and where you want to start and end your trip in New Zealand and choose a campervan rental company with depots in those locations convenient to you. To keep the costs down, try to start and end your trip in the same location to avoid one-way fees (or choose a company that doesn’t charge one-way fees). Additionally, always check if the company is charging a fair “premium location fee” which is usually added if picking up from an airport depot. Prices and inclusions: The base price of campervan rental fluctuates with the seasons. In summer, daily rates are at their most expensive, while they are at their cheapest in winter. 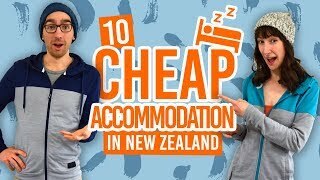 Read our 20 Ways To Save Money on Car Rental in New Zealand to see when the best time to rent a campervan usually is. Additionally, to truly understand the value of your rental you need to compare what’s included in a campervan rental. Not all companies include the same thing, especially when it comes to insurance. Vehicles offered: Most campervan rental companies in New Zealand will maintain even their oldest cars to the highest standards, however a more modern vehicle is less likely to give you any problems, so keep vehicle age in mind. Of course, the size of the campervan will be incredibly important for the level of comfort you want to have. What’s more, decide whether a self-contained campervan is important to you or not. In order to freedom camp in New Zealand, you need a vehicle that is certified self-contained. For more information on the different types of campervans in New Zealand, head on over to this page. Service: Once you have picked a few campervan rental companies from this comparison, send some questions to the companies and see how helpful they are with their answers. Service will become very important should anything go wrong during your trip. Reviews: It’s worth checking multiple review websites to compare customers’ experiences. Why not ask the question in a backpacking Facebook Group? Hit the road in a compact yet comfortable camper that’s small enough to be easy to drive and affordable enough to stick to your budget. If you’re plan is to discover campsites around New Zealand then Wanderlust Campers is a great option as they are not self-contained vehicles. Plus, the free GPS hire is welcome! Toyota Estima sleeping 2 people. Free standard insurance with NZ$3500 excess and $3500 bond or insurance add-on for NZ$-$35 per day with $500 excess and bond to pay. From small vans to full-on motorhomes, Road Runner Rentals has a great selection of affordable campervan rental vehicles. Even their motorhomes are reasonably priced and well worth considering for an affordable trip around New Zealand. While 18+ drivers can hire the smaller vans, you need to be 21 and over to hire motorhomes. Pick-Up/Drop-Off Locations: Auckland, and Christchurch. Nissan campervan sleeping up to 2 people (not self-contained), high-rise Toyota HiAce sleeping up to 4 people (self-contained), or a range of Mercedes Sprinter or Ford Transit motorhomes ranging from 2-berth to 6-berth, all self-contained. Vehicle age range: 4 to 14 years old. Standard insurance is included with NZ$4000 excess for motorhomes and NZ$2000 excess for campervans (this is NZ$3000 for 18-21 year old drivers and NZ$2500 for 21 – 25 year old drivers). Excess can be reduced for NZ$15-$25 per day. A bond is payable for motorhome rental. When it comes to hiring a motorhome in New Zealand, Wendekreisen offers them at much more affordable price than other companies especially considering their inclusions. For example, they charge no one-way fees and no RUC (diesel tax). There’s opportunities to make huge savings while having a huge fleet of campervans and motorhomes to choose from. Cars with roof tents (not self-contained), a selection of high roof vans (VW T5, Mazda E, Toyota HiAce, etc.) sleeping up to 2 people, and a selection of motorhomes sleeping 2 to 6 people. If you are starting a trip from Christchurch then add Campa South to your comparison. They are a small campervan and motorhome business with daily rates at an affordable price. Courtesy transfer available for airport and nearby accommodation. High-roof van (Toyota HiAce) which is certified self-contained and sleeps up to four people and Nissan Vanette which sleeps up to two people. Free standard insurance. 25+ year old driver have NZ$750 excess and NZ$750 bond to pay. 21-25 year old drivers have NZ$1500 excess with NZ$1500 bond to pay. 18 to 20 year old drivers have NZ$2000 excess and $2500 bond to pay. This mid-range-priced campervan rental company offers a fair price on their three types of camping vehicles from small campercars to large campervans. The minimum hire period is 15 days for Camperco. Campercar Toyota Estima which sleeps up to 2 people, a high-roof campervan (Toyota HiAce) and sleeps up to 3 people, and a larger Ford Transit van sleeping up to 3 people. All of which are certified self-contained. Free standard insurance. 25+ year old driver have NZ$2000 excess. 21-25 year old drivers have NZ$2500 excess. 18 to 20 year old drivers have NZ$3000 excess. 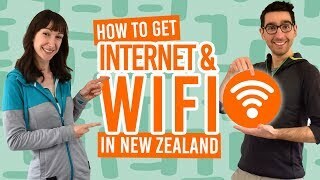 There are options to reduce the excess by paying NZ$25-$30 per day. Cruzy Campers is a great option for a couple travelling New Zealand. Their small high-rise vans are easier to drive than bulky motorhomes. While offering the choice of petrol or diesel, be aware that you will have to pay a diesel tax if hiring the diesel van. High-roof campervan (Toyota HiAce) and sleeps up to 3 people which are certified self-contained. There is choice of petrol or diesel. Free standard insurance. 25+ year old driver have NZ$1500 excess and NZ$1500 bond to pay. 21-24 year old drivers have NZ$2000 excess and NZ$2000 bond. 18 to 20-year-old drivers have NZ$2500 excess and NZ$2500 bond. Certainly the most unique campervan rentals in New Zealand, Off Track Rentals offers 4×4 vehicles with a rooftop tent or a wooden barrel-shaped campervans (yes, you read that right)! There is a 4-day minimum hire period for this Wanaka-based rental company. Bedding is not included but can be hired. All vehicles are diesel vehicles, so while diesel is cheaper in New Zealand, Road User Charges will be applied at the end of your rental at around NZ$70 per 1,000km driven. 4wd truck (Toyota Land Cruiser) with either one or two rooftop tents sleeping 2-3 or 4-5 people which is non self-contained, and 4wd truck (Nissan Navara) with certified self-contained “barrel” camper sleeping 2 people. Vehicle age range: 10 to 20 years old. Standard insurance is included. 25+ year old driver have NZ$2500 excess and NZ$2500 bond to pay. 21-24 year old drivers have NZ$4000 excess and NZ$4000 bond. While Euro Campers owns a budget and luxury brands of campervan rentals, they list their mid-range campervans under their own branding of Euro Campers. Choose from campercars to motohomes. Note that you need to be over 21 to drive the motorhome-style vans. Find out more about rental age restrictions in Age Restrictions When Renting a Vehicle in New Zealand. Campercars Toyota Estima (budget and premium) sleeping 2 people, campervan Nissan sleeper van style sleeping 2 people, high top vans (budget and premium) sleeping 3 people, and a range of fully certified self-contained motorhomes (budget and premium) sleeping up to 5 people. Vehicle age range: 1 to 20 years old. If you want to hire a small campervan at a mid-range price then consider looking at Travellers Autobarn. To make the campervan “certified self-contained” in order to freedom camp, rather than paying for campsites, then it is an extra NZ$50 to hire a portable toilet. An extra tip: rentals are usually cheaper when starting in Christchurch with Travellers Autobarn. Campercar/station wagon Toyota Estima sleeping 2 people, and high top Toyota HiAce vans sleeping up to 3 people. Vehicle age range: 3 to 12 years old. Note that the living inclusions listed below are for Travellers Autobarn’s more premium campervan options. They may not all be included in the budget campervans. If you are looking for a good deal on one of the larger camping vehicles like a motorhome or large campervan then take a look at Affordable Motor Home Rentals. As the name suggests, they are affordable and certainly fit the criteria for mid-range campervan rentals in New Zealand. Courtesy transfers to and from airport and accommodation available. Motorhome options by Ford sleeping up to 4 to 6 people (certified self-contained), campervan options such as high top Toyota HiAce (certified self-contained), and campercars such as a Toyota Estima (Certified self-contained). Vehicle age range: 3 to 18 years old. Free standard insurance with NZ$1500 excess and bond to pay for 1999/2003 series models or NZ$2500 excess and bond to pay for 2004/2010 series models. Other insurance options are available at an added NZ$15-$25 per day for less excess and bond to pay. Another one to consider when comparing motorhomes is Kiwi Motorhomes. They offer fully slef-contained motorhomes for a mid-range price. Plus, there are a few free inclusions in the rental that are worth asking about. Pick-Up/Drop-Off Locations: Auckland, Wellington, Christchurch and Queenstown. A range of certified and full-self-contained motorhomes from VW, Mercedes and Ford vehicles sleeping up to 6 people. Standard insurance is included in the rental but excess costs are calculated on a case by case basis.